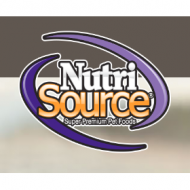 NutriSource Chicken Formula Grain Free provides super premium nutrition in a scientifically formulated easy to digest food. Eukanuba Adult Small Breed Weight Control Dog Food is specifically made for the unique nutritional requirements of small breed adult dogs who tend to put on extra weight. 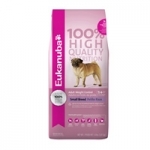 Eukanuba Adult Small Breed Weight Control Dog Food is a scientifically advanced formula for peak nutritional performance. Recommended for puppies of breeds with adult weights up to 20 pounds from weaning until 12 months of age; pregnant and nursing dogs. 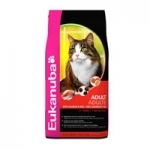 Eukanuba® Adult Salmon & Rice Formula provides the super-premium nutrition you expect from Eukanuba. This formula is vitamin rich, with all the vital nutrients needed for bright, clear eyes; strong bones and healthy teeth; well-developed muscle tone; and a soft, lustrous coat. 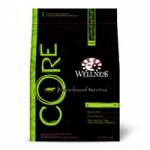 CORE Weight Management is grain-free, protein-focused nutrition for dogs. Low in calories to help achieve and maintain a healthy weight. This formula contains more fiber to help your dog feel fuller, longer. With 5 high quality protein sources and a mix of greens and botanicals, Weight management is complete and balanced for everyday feeding. 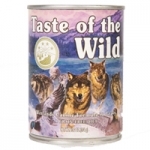 Taste of the Wild Pacific Stream Can Dog 12/13.2 oz. A great tasting complement to the dry Taste of the Wild formulas, the Pacific Stream Canine Formula with Smoked Salmon will satisfy your pet's taste for wet food. This complete and balanced formula can also be your pet's sole diet. Contains salmon and smoked salmon, perfect sources of omega-3 fatty acids. Sweet potatoes, blueberries and raspberries are great sources of natural antioxidants for a healthy lifestyle. 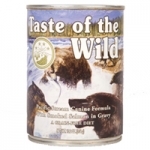 A great tasting complement to the dry Taste of the Wild formulas, the Wetlands Canine Formula in Gravy will satisfy even the most finicky pets. A complete and balanced formula, this food can even be used as your pet's sole diet. Contains duck, chicken, quail and turkey for a blend of fowl that provides optimal amino acid nutrition. 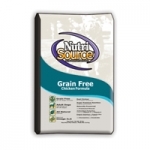 Like all Taste of the Wild formulas, this grain-free option provides excellent nutrition without the grains. Fruits and vegetables provide natural antioxidants. 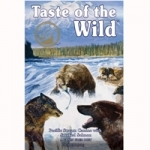 Taste of the Wild Pacific Stream Canine with Smoked Salmon 6/5 Lb. 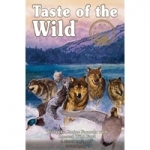 Taste of the Wild Wetlands Canine with Roasted Wild Fowl 6/5 Lb. Diamond Chicken Soup Light Adult Dog 6/6 Lb. This low calorie formula is enhanced with L-carnitine to help your dog return to an ideal body condition by turning fat into energy. Antioxidants protect your dog's health during weight loss or maintenance. Diamond Chicken Soup Adult Dog 6/6 Lb. "Diamond Brand Chicken Soup Adult helps to condition and prepare for the upcoming Senior years. It has higher energy levels and stamina and also improves your pets skin and coat. 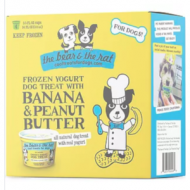 Your adult dog will love the taste and you'll love the results. " Diamond Chicken Soup Puppy 6/6 Lb.